New Photos Reveal Two MiG-31K “Foxhound” Flying Over Moscow Ahead of Parade. Exciting photos emerged Friday on social media of the unique Russian Aerospace Forces long range interceptor, the MiG-31K (NATO codename “Foxhound”) carrying the new long range, hypersonic Kh-47M2 “Kinzhal” missile. In a story on the Russian news agency TASS website it was reported that, “Upgraded MiG-31K fighter jets armed with the Kinzhal hypersonic missile system will take part in the Victory Day parade in Moscow on May 9.” Defense Minister Army General Sergei Shoigu was reported as making the announcement on Thursday, May 3. 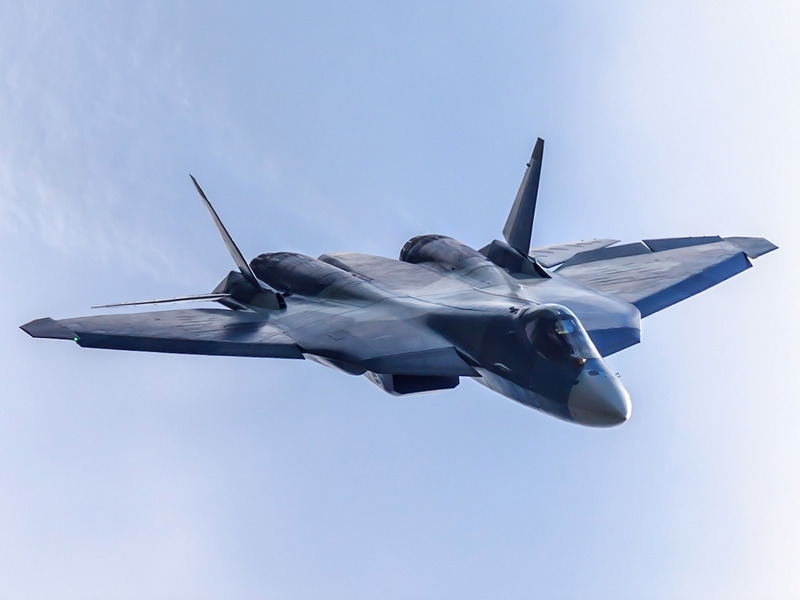 “Apart from advanced Su-57, Su-30SM and MiG-29SMT aircraft, upgraded MiG-31K fighters armed with the cutting-edge Kinzhal hypersonic missile systems will take part in the parade’s air component,” General Sergei Shoigu said. The Kh-47M2 is a much-hyped long range missile claimed by Russia to be capable of speeds up to Mach 10 with a range of 1,200 miles (approximately 2,000 kilometers). The Russians further claim the weapon has maneuver capability even in part of the hypersonic performance envelope. While western analysts remain skeptical about the Kinzhal’s claimed capabilities, the missile has garnered significant attention in aviation media and intelligence communities. The missile, is actually not a “hypersonic weapon” in the sense that it is an air-breathing cruise missile based on scramjet technology: it appears to be an adaptation of the Iskander missile and, as a ballistic missile, it flies at hypersonic speed with a reported cruise missile-like flat flight profile. 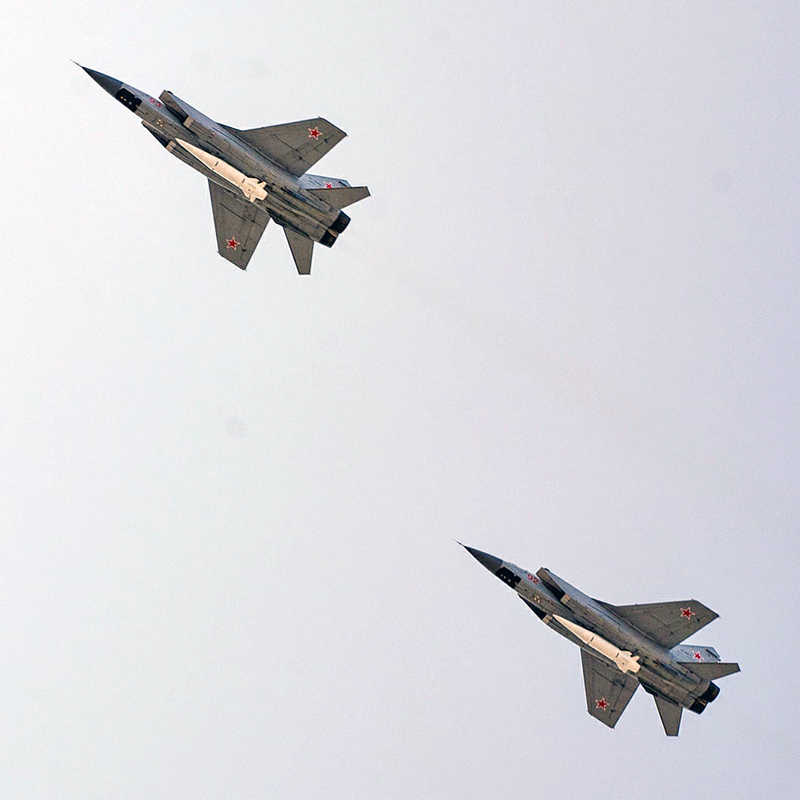 There was speculation about the MiG-31 in a modified variant called the MiG-31K being shown in flyovers with the Kh-47M2 Kinzhal during the sensational Victory Day Parade on Wednesday, May 9 beginning at 1000 Hrs. local Moscow time. Rehearsals for the parade confirm that two aircraft with Kinzhals may be seen in the flyover. Some reports earlier this year suggest that only six initial MiG-31s were modified to carry the Kinzhal. The MiG-31 Foxhound is a bit of a plane-spotters’ prize itself since Russia is now the only user of the type and they are mostly deployed along the vast expanse of Russia’s eastern border. Their very high speed well in excess of Mach 2 and long range coupled with powerful intercept radar make them a highly capable (if not very stealthy) interceptor. The combination of the MiG-31K with the Kh-47M2 Kinzhal nuclear capable, hypersonic missile could give the aging MiG-31 Foxhound, formerly only an interceptor, a new attack capability.